These are my fellow piper and drummer friends and colleagues, many of whom I’ve known for many years and performed alongside. If I’m not available to play at your event, I can recommend any these fine Edinburgh-based pipers and drummers. 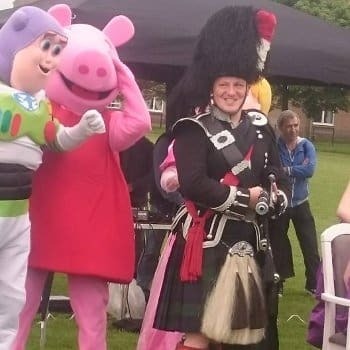 Tommy is an experienced pipebandsman, and has won several major pipe band championships with the Newtongrange Pipe Band, culminating in the band being crowned ‘Champion of Champions’. I regularly perform with Tommy at Cruise Ships visiting Edinburgh, and for Hogmanay events. I’m not sure what he’s doing in this photo, and I didn’t ask! John is a native of Edinburgh and comes from a piping family. 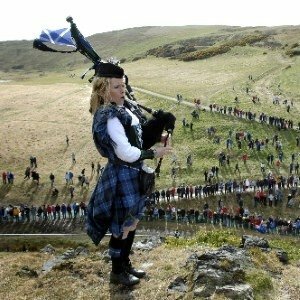 He is an accomplished piper and regularly performs overseas as well as at many weddings and events in and around Edinburgh. He proudly wears his family Dress Macdonald tartan as worn by his grandfather, also a piper. When not playing bagpipes John coaches the Heriot Watt University rugby team. Brian served in the Black Watch for 25 years and was the army’s Senior Drum Major, and Senior Drumming Instructor at the Army School of Piping and Drumming. He also plays the Bugle. He is a drumming instructor in schools around Edinburgh. In this photo Brian’s wearing the Red Lichty tartan. I promise a discount to anybody who knows what the Red Licthy is! Louise is the piper for the Lord Provost of Edinburgh, and is regularly called upon to play at public events in Edinburgh. 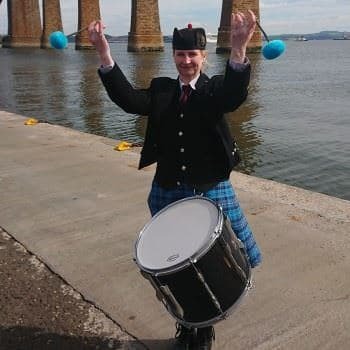 She’s worked with Forth Ports and City of Edinburgh Council for many years, providing a Mini Pipe band for the many cruise ships visiting the city. She plays her father’s bagpipes, who piped for countless couples who were married at Gretna Green. Ivor is from the West Highlands and when he is not piping, he moonlights as a Loss Adjustment Surveyor for storm-damaged buildings. If you see somebody on the top a roof wearing a suit, it’s likely to be Ivor!. He is a prolific tune composer and also plays the Border Pipes, Guitar, Mandola and the Button Box. Ivor performed alongside me in South Korea for six months, to promote Mackies Ice Cream. 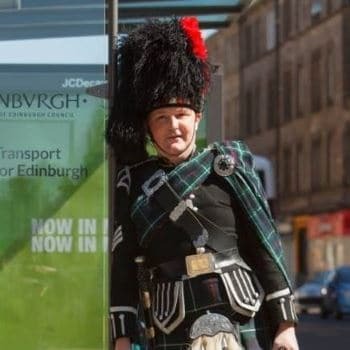 Jimmy is well known in the Edinburgh pipe band scene. He served in the Royal Scots and has played in a number of pipe bands in the Edinburgh area. 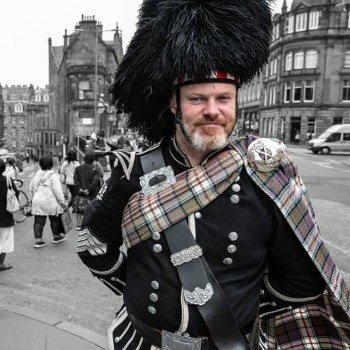 Today he plays in the Royal Scots Association Pipe Band who regularly perform at Murrayfield and at many events overseas. Mike is a former soldier of the Queens Own Highlanders. Upon leaving the army he played in the Scottish Gas Pipe Band for many years. He is now a full-time piper and bagpipe teacher. 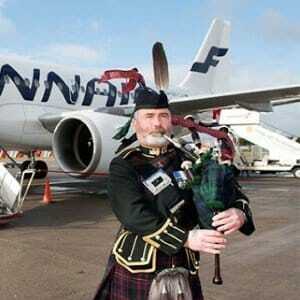 He regularly performs with Piper Louise Marshall at cruise ships, and instructs the Army Cadets in Edinburgh. I regard him as an authority on the tricky job of tying a piper’s plaid! 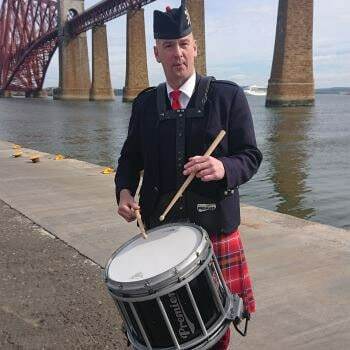 Alex is a pipe band Tenor Drummer who has played in the Scottish Gas and Fife Police pipe bands. She regular performs with a mini-band for Cruise Ship arrivals and also plays with me at the St Andrews Fairmont Hotel at Hogmanay. A tenor drummer adds greatly to the visual spectacle of a pipe band or mini-band.